It’s hard to imagine a Penang gym with more inspiring views than those offered by our beachfront Fitness Centre. Tropical greenery and glimpses of the glittering ocean will spur you on to new personal bests, as you work up a sweat in our airy gym. You can maintain your beach body on running machines or opt for a toning session with free weights. 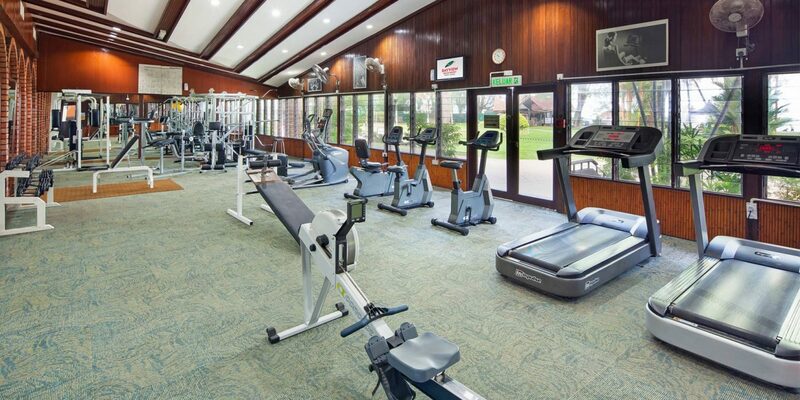 Use of the Fitness Centre is complimentary for guests.